An edgelord is someone on an internet forum who deliberately talks about controversial, offensive, taboo, or nihilistic subjects in order to shock other users in an effort to appear cool, or edgy. I can't stand people who try and act smart by being entirely pessimistic. Like grow up, edgelord. This brand of coolness must be very fun online, because it’s showing up a lot these days. If you express a modicum of can-do spirit, or tweet about taking action to "stop" climate change, an edgelord will see it as their job to throw cold water on your enthusiasm, just as a denier will see it as their job to say climate science is a scam made up by China and George Soros. Where does edgelord come from? 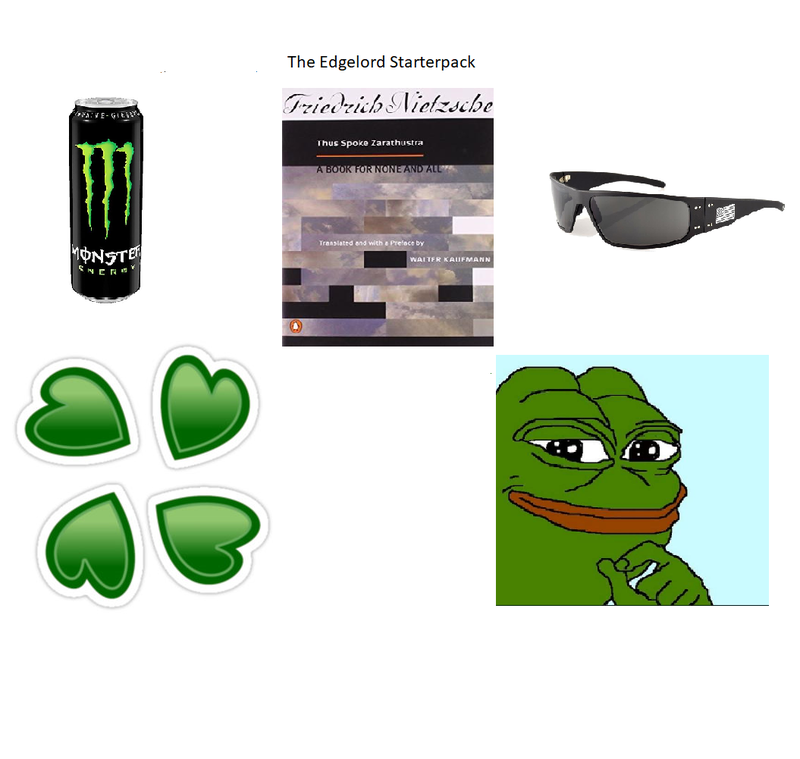 The stereotypical edgelord is imagined to lurk on internet forums like 4chan and Reddit. We imagine a misanthropic, internet-addicted teen wearing a black trench coat and sunglasses, with their hair dyed black. The term combines edge and lord. 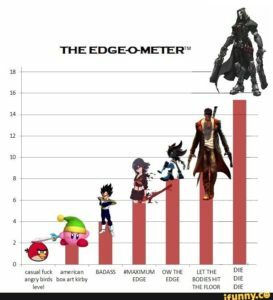 Edge refers to edgy, used of online behavior that is deliberately pushing the boundaries of taste and decency. Lord, seen in other internet slang terms like shitlord and douchelord, is a mocking honorific. Edgelord can therefore be an insult for people online who are trying to impress others by posting about dark, shocking content. Typical edgelords might utter racist and/or sexist comments, post gruesome videos of shooting deaths, or have, shall we say, nuanced views of fascism and nihilism. An edgelord, for instance, might say positive things about Hitler, or they might aggrandize mass shootings, hoping their edginess makes them seem unique or especially intellectual. I mean, he's not so much denying the holocaust as being a smart-arse edgelord about it, but it's still pretty vile. The term edgelord was defined on Urban Dictionary by 2015 and is established online by 2017. Google registers search interest in the term as early as 2010–13. Especially on social media sites like Reddit, 4chan, and Tumblr, edgelord is used to insult people who think they are being cool by being especially risqué, provocative, or dark. Edgy, if you will. Usually, though, they just end up sounding offensive. Edgelords can sometimes be viewed as cringe-inducingly fake, posting or commenting on racy content with the explicit intent of getting into an argument, or just to push someone’s buttons. 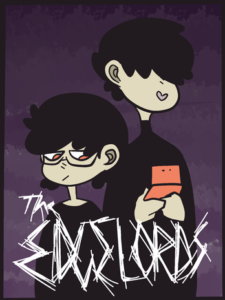 Edgelord is also sometimes used as a more playful nickname for goth-y characters like Reaper from the video game Overwatch, or Professor Snape from Harry Potter. Even Shadow from Sonic the Hedgehog, with a similarly dark appearance and gloomy demeanor, has been dubbed an edgelord.